Z80 Labs, launched in summer 2012, is Buffalo’s first Internet­-focused technology incubator, providing entrepreneurs the ability to build new and innovative tech companies in Buffalo, New York. Startups invited to locate in Z80 Labs are given a wide array of services including office space, education programs, mentorship, amenities and infrastructure from local sponsors, as well as expert advice from renowned industry advisors. In addition, Z80 allows Life Sciences, GreenTech and SaaS companies to be part of the incubator, should they have a local sponsor and meet the other criteria for acceptance in our facility. Total funds under Z80 Labs management are $6.6 million. Funding for investments in Z80 startups is provided by SCP Buffalo Incubator Innovate NY Fund LP, managed by Z80 Labs, who was awarded $5.1 million from The Innovate NY Fund, a $45 million joint venture launched by Governor Andrew M. Cuomo to spur innovation, job creation and entrepreneurship across New York State. The Company’s recent award for $1.5 million from Empire State Development is set to assist with technology commercialization and equity funding for NYS pre­seed and seed­stage businesses as part of the NYS Innovation Venture Capital Fund. Corporate support is being provided by 43North, The Buffalo News, Campus Labs, Synacor, and Seneca Holdings Corp. Z80 Labs is headquartered in downtown Buffalo. What does Z80 Labs offer? Our current fund is a commercialization fund to help turn ideas into businesses. All of our investments are contingent on matching private dollars. We can give no more than $100k at a time to one company and no more than $150k total for any company. Example: You are raising a $250k round and Z80 labs comes in for $50k. We will then have up to $100k remaining that we can invest into your business during your next raise. In addition to funding Z80 also offers space in our high tech incubator on the Buffalo Niagara Medical Campus. Our investment committee has extensive experience launching, scaling and exiting high tech companies and can utilize their experience to help you grow. Please email jon@z80labs.com if you would like to chat. 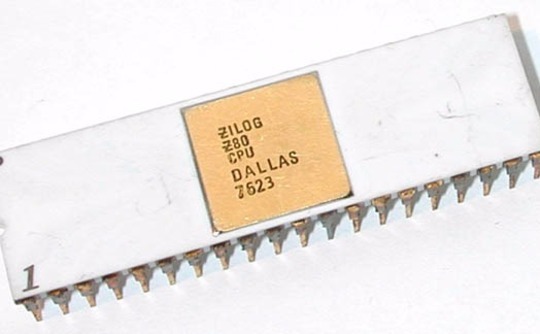 Where did the Z80 name come from?